Adopted on June 15, 1993. The White Perch aka Sac-au-lait and White Crappie, (poxomis annularis, sac-au-lait,) was designated the official state freshwater fish of Louisiana on June 15, 1993 by Acts 1993, No. 460, §1. White crappies are more common in large reservoirs and tend to be more tolerant of turbid conditions. 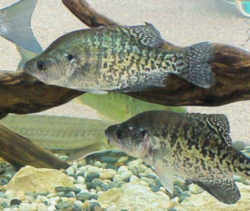 The white crappie (Pomoxis annularis), is a freshwater fish found in North America, one of the two crappies. 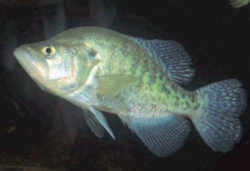 There are two species of crappies, the Black Crappie, (Pomoxis nigromaculatus,) and the White Crappie, (Pomoxis annularis.) They are found in almost all waters with the exception of mountain streams. 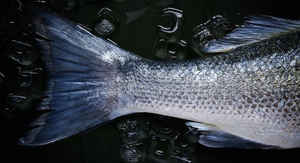 They are more abundant in large impoundment's, natural lakes and backwaters. White crappies are more tolerant of turbid conditions with the black crappie preferring clearer lakes. White Crappie, sac-a-lait, papermouth, goggleeye, white perch, speck, speckles, slab (large fish), google eye. Like other members of the sunfish family, white crappie are nest builders. They are similar to bluegills in that they tend to nest in relatively large "beds," and they have very high reproductive potential which often leads to overpopulation and stunting in small lakes and impoundments. White crappie nest in the spring, generally when water temperatures reach 65 °F to 70 °F. However, spawning activity has been observed at temperatures as low as 56 °F. Fry hatch in three to five days, but remain attached to nest substrate by an adhesive substance from the egg for a few more days. Just before leaving the nest, fry free themselves by vigorous swimming actions. Once free, they begin feeding on microscopic animals. Although fry do not appear to school, fingerlings do. Schools with large numbers of individuals are often found in the middle of lakes. Typically, white crappie grow three to five inches in length the first year, and reach seven to eight inches during the second year. Maturity is usually reached in two to three years. Adults feed on small fish and insects. 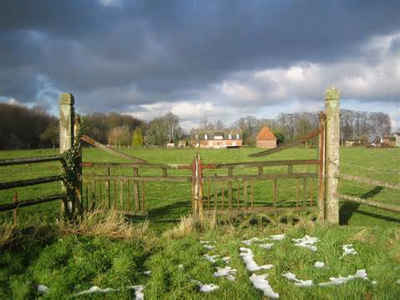 They have diverse diets, however, including zooplankton, insects, and crustaceans. By day, crappie tend to be less active and to concentrate around weed beds or submerged objects, such as logs and boulders; they feed especially at dawn and dusk, moving then into open water or approaching the shore. Like other members of the sunfish family, White Crappie are nest builders. They are similar to bluegills in that they tend to nest in relatively large "beds," and they have very high reproductive potential which often leads to overpopulation and stunting in small lakes and impoundments. White Crappie nest in the spring, generally when water temperatures reach 65 °F to 70 °F. However, spawning activity has been observed at temperatures as low as 56°F. Fry hatch in three to five days, but remain attached to nest substrate by an adhesive substance from the egg for a few more days. The law designating the white perch as the official Louisiana state freshwater fish is Section §170.4 (State freshwater fish) of Louisiana Statutes, Title 49 (State administration), Section RS 49:170.4. There shall be an official state freshwater fish. 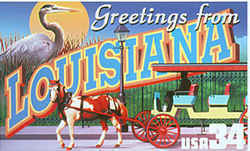 The official state freshwater fish shall be the white perch (poxomis annularis, sac-au-lait). Its use on the official documents of the state and with the insignia of the state is hereby authorized. Acts 1993, No. 460, §1.